Milk allergies are one of the most common food allergies in the United States. Because milk and other dairy products are ubiquitous in American cooking and baking, allergy sufferers frequently find themselves in need of a milk substitute, but unsure whether or not a possible replacement like coconut milk is safe for them to use. Coconut milk is the result of pressing the liquid from ground coconut meat and mixing it with water. Some commercial varieties also include agents like guar gum or xanthan gum to reduce separation. Products marketed as pure coconut milk do not contain dairy products; the term "milk" refers to the color and texture of the liquid, which closely resembles whole cow's milk or cream, depending on how much water has been added. Dairy allergy stems from an allergic reaction to a protein called casein. Casein is present in varying degrees in all products made of cow's milk. Similar proteins are found in goat milk, so more than 50 percent of people that are allergic to cow's milk cannot tolerate goat milk either. 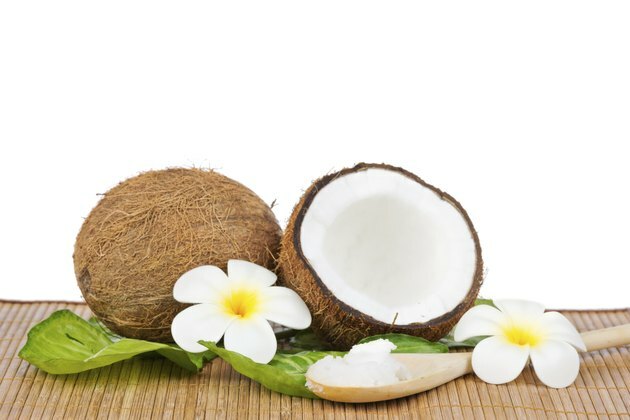 Because coconut milk does not contain any dairy products, it is generally a safe choice for dairy allergy sufferers unless they also have a coconut allergy. Food allergy sufferers are prone to having more than one allergy, so people with a milk allergy should always be cautious when introducing a new food. That said, there are very few documented cases of coconut allergy. Within those documented cases, researchers have found two instances of people with walnut allergy also being allergic to coconut. For this reason, the Food and Drug Administration classifies coconut as a tree nut for allergy labeling purposes, even though coconut is actually a fruit. Unfortunately, not all coconut products are created equal. Check ingredient labels carefully when purchasing food for someone with a milk allergy. Seemingly innocuous products like dried coconut milk powder or coconut flavored drinks may contain dairy products. Common food additives that contain hidden dairy allergy triggers include whey, sodium caseinate and milk solids. A product may also be produced on equipment that also produces dairy products, resulting in cross-contamination. If in doubt, contact the manufacturer and ask.